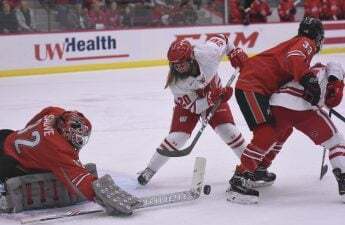 All good things come to an end, or at least that seems to be the case for the University of Wisconsin women’s hockey team as they acquired their first loss of the season this past weekend in D.C. 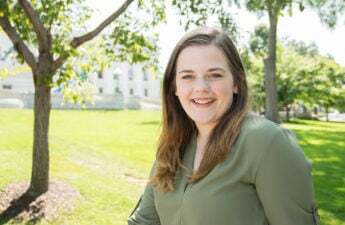 The Badgers were on a roll before they headed to the nation’s capitol, remaining undefeated through 18 grueling games. Going to D.C. was hopefully just going to add icing on top of an already large cake that UW had been building, but that would all come crumbling down Friday night. 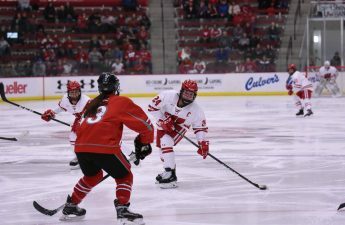 Wisconsin and Northeastern started the weekend long tournament off Friday afternoon, but it seemed as though the Badgers were just slightly off their usual form. The UW would start things off on a sour note, allowing Northeastern to score the first two goals of the night. It is unlike Wisconsin to allow for another team to pull ahead, especially by multiple points. The Badgers would try playing catchup for the remainder of the game, but would be unsuccessful at their attempt. This is the first loss of the season for the UW women, but they would still manage to come out of their tournament with mild success. 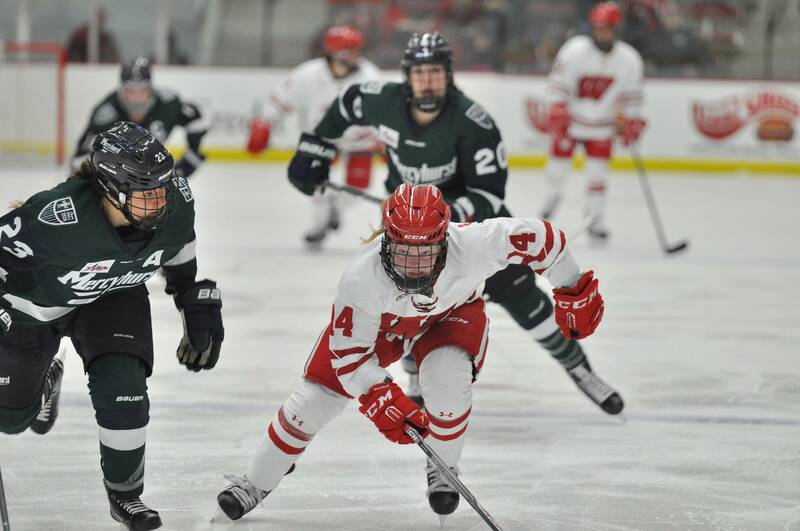 After a devastating loss Friday, the Badgers would manage to pull out a win against Boston University Saturday. 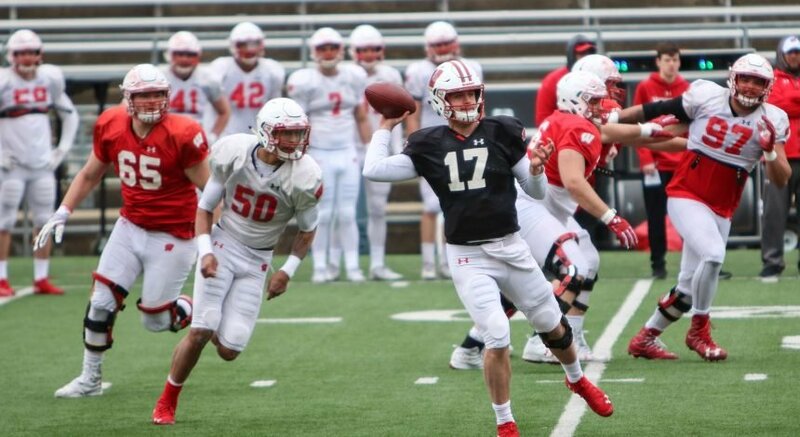 While they might have acquired their first loss of the year, the Badgers are still poised to have a great ending to their fall campaign. With only two more series left in December, Wisconsin is hopefully looking at adding four more wins to their already impressive 19. Wisconsin also has home-rink advantage for their series against Minnesota – Duluth, hopefully instilling confidence and security throughout the team. The Badgers are ending their fall season this year in St. Cloud, as they plan on taking on St. Cloud State. While it is sad that Wisconsin earned their first loss of the season, there is also a blessing that comes with earning a loss at this point of the year. For starters, the Badgers and Northeastern will not see each other during the regular season, so they can truly remove this game from their mind. Wisconsin will also be facing more familiar opponents during the rest of the year, which means that they will be better prepared. Things are only looking up at this point for UW, and success is sure to come to this young team.